Wow.. it’s hard to believe we are already wrapping up 2018. We have so much to be thankful for. Of course near the top of that list of thanks is the completion of our new church building. 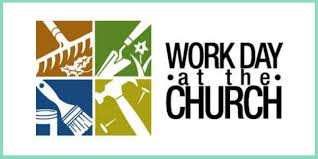 As we finish up the final touches on the church, I think of the many people who have given in so many different ways to get us to where we are today. 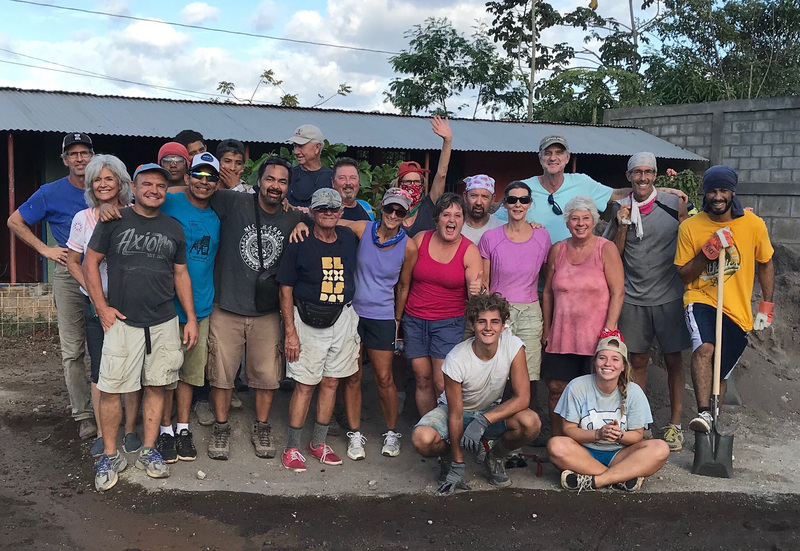 Many who have financially given, but also those who have caught the vision of Tamarindo Church and who have given of their time and energy to serve Christ in the church and in reaching our community. 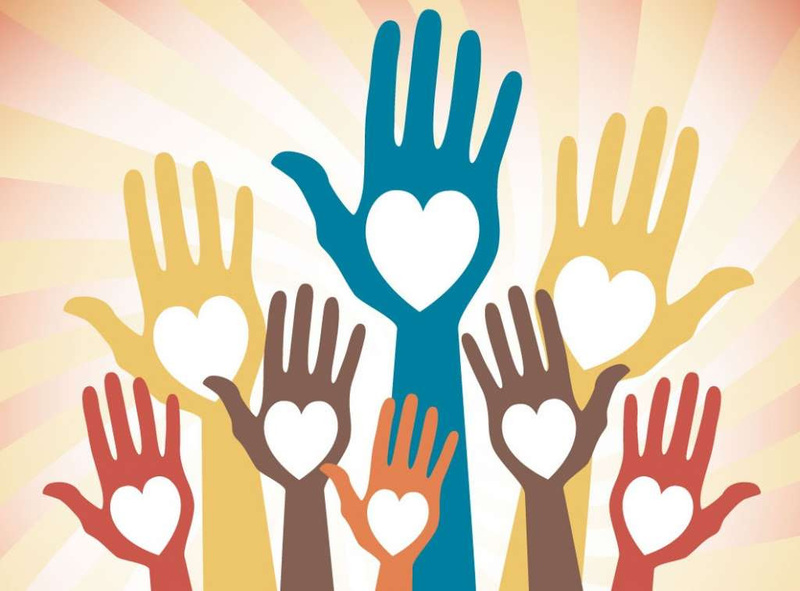 I am blown away and so thankful thinking of the people who have recently given of their time from work or from their vacation to help with painting, installing lights and fans, and moving items from the old church to the new, etc. It has really been a great time of teamwork and good fellowship. November gave us much to be thankful for! Last month 18 ladies spent a weekend up at La Carolina Lodge enjoying a fantastic time of recreation, relaxation, bonding, and growing in relationship with God and with each other. During their time together, Mindy Stoms did an amazing job leading women in several sessions where they took time to reflect on loving God… and loving others. They also learned a lot about themselves explored the results of the enneagram personality test and discussed their insights with each other. 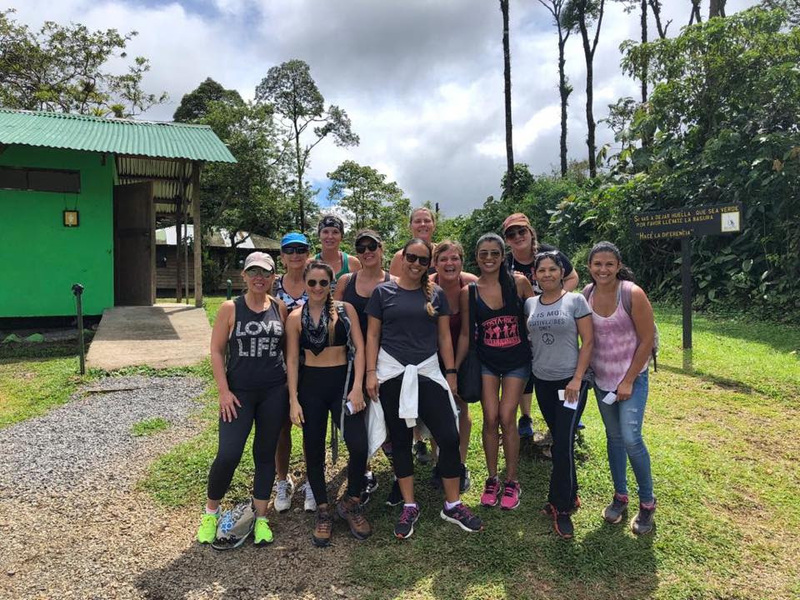 A special thanks to Carolina Lodge for hosting our group once again, and a HUGE thanks to Mindy for leading our ladies! As stated in the pledge drive email sent out last month, Tamarindo Church’s operating budget for 2019 is $114,844. Our goal is to raise $90,000 in pledges, trusting that the remaining amount for the budget will be met through Sunday offerings and unforeseen gift throughout the year. Since sending out the pledge drive letters, we are thankful to say that we have received $63,460. That leaves us only $26,540 away from our goal. Thank you to all who have already partnered with us by making your pledge. If you have not made your pledge of financial support but would like to, CLICK HERE for instructions on how to do so. Thank you! This year we tried something new for Thanksgiving. Instead of hosting our church gathering on Thanksgiving day, we gathered on the Sunday before Thanksgiving… and it was a hit! 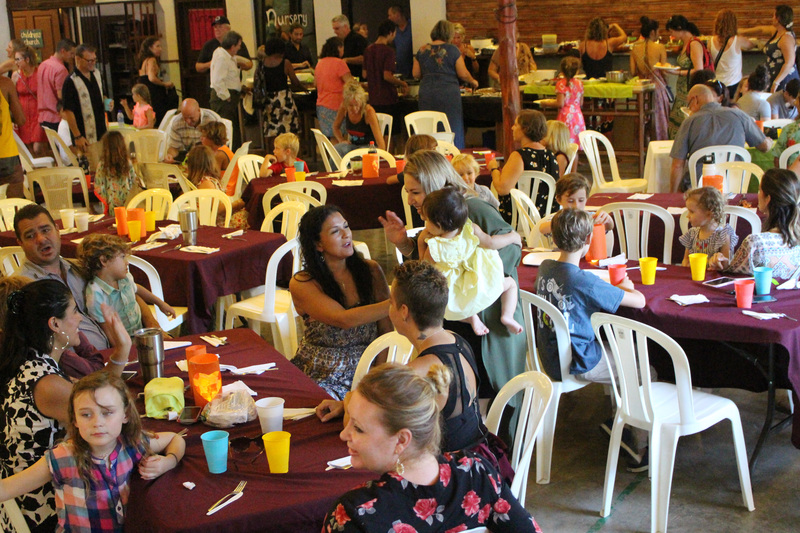 Over 120 gathered on Sunday afternoon to share in an amazing meal full of all the traditional Thanksgiving flavors. Thanks so much to the fantastic coordination of food items and preparations by Jean Mixon and her crew… and to the whole congregation for cooking and sharing their wonderful family favorites. Ashley and Wolfie did a great job keeping us entertained with laughter, and the fellowship was fantastic. New friends and old enjoyed a wonderful afternoon together …. reminded of how we all have so much to be thankful for. 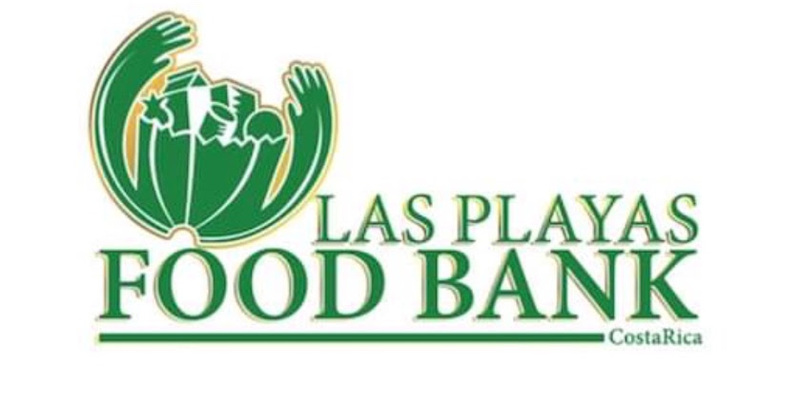 Last month, Leslie and Kevin McDermott spearheaded a campaign to collect funds to provide food bags for the 180 plus homes that Las Playas Food bank distributes to. 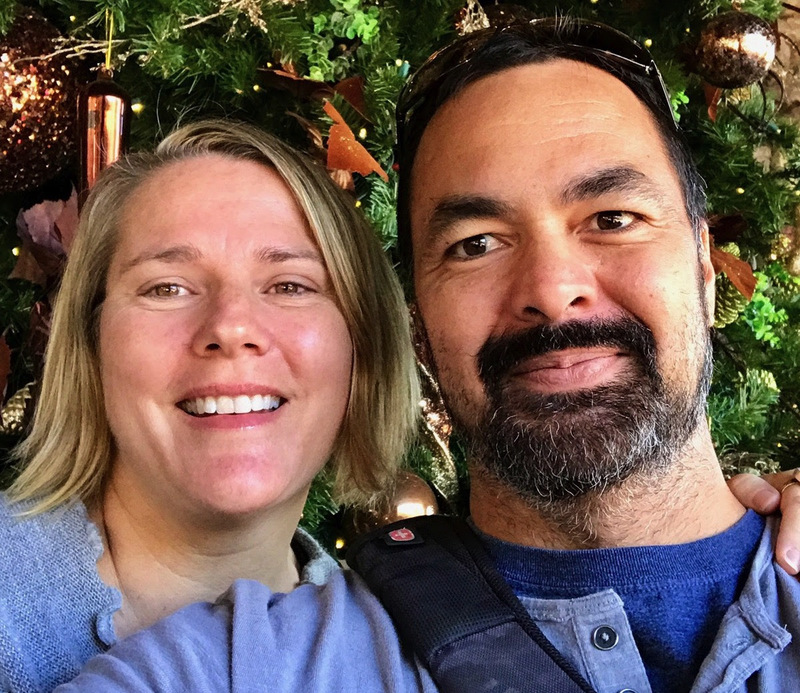 Over $1000 was raised toward this effort, and they were thankful to share with our congregation that… because of this donation… every home they deliver to will be able to receive a roasted chicken in their food package for Christmas this year. Great job guys!!! 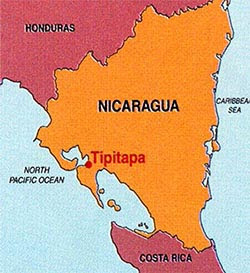 Nicaragua Mission Trip- February 11-15th. Scroll down below for more information. Thanks again for the many ways you all contribute to the life and ministry of Tamarindo Church. Blessings over your time with family and friends over the holidays. We hope to see you on Sunday! In the beginning was the Word, and the Word was with God, and the Word was God. He was with God in the beginning. Through him all things were made; without him nothing was made that has been made… The Word became flesh and made his dwelling among us. We have seen his glory, the glory of the one and only Son, who came from the Father, full of grace and truth. 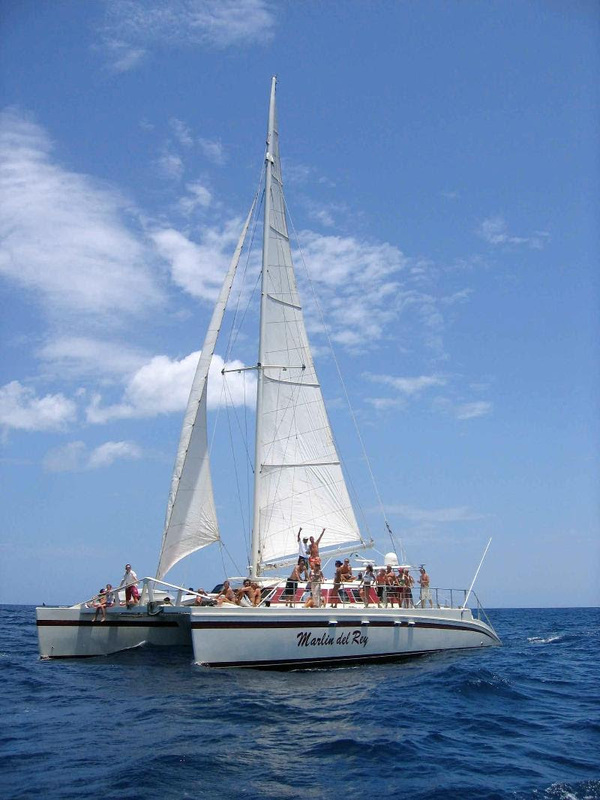 YOUR INVITED ~ Join us for our exclusive Tamarindo Church sailing day on the Marlin Del Rey! It’s a great time for fellowship, enjoying God’s creation together, and experiencing an amazing Costa Rica sunset as we gently sail back to port! The cruise includes sailing, swimming, snorkeling, paddle boarding, and great food and drinks. * Cost is $40 for adults and $25 for kids 12 and under. That is 24,000 col for adults and 15,000 col for kids. Exact change is appreciated. * Payment can be made to Jean Mixon on the day of the event. moving items from the old church to the new. Be sure to wear clothes that you don’t mind getting a bit dirty. 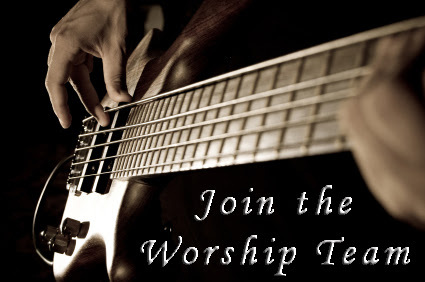 If you have any questions, feel free to contact pastor Lyle at lyletamarindo@gmail.com . We hope to see you there! Monday, December 24th @ 5:30pm. Remember… Christmas is one of those times of year that many people willing to come to church for the first time. 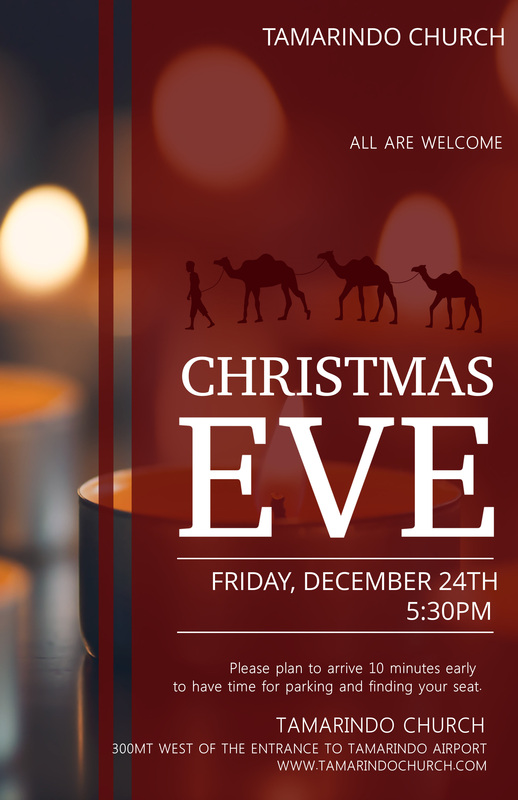 Be sure to spread the word, pray and invite your friends to come along to celebrate Christmas with us! 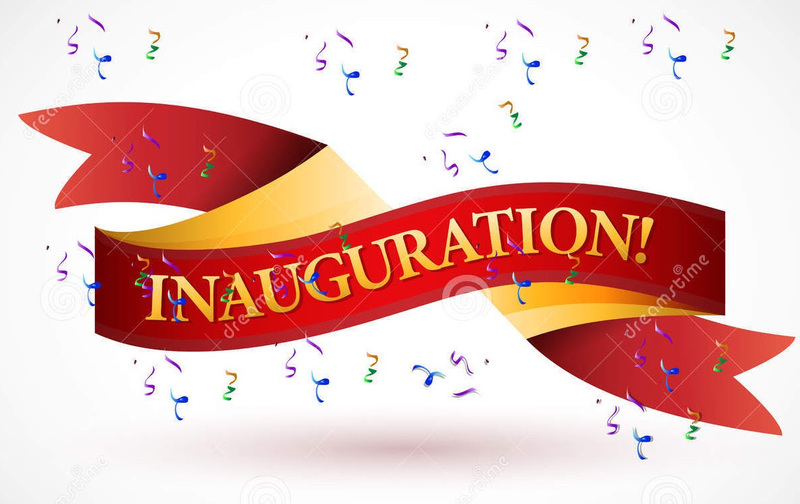 Mark the date… and come celebrate with us at Tamarindo Church on Sunday, January 13th for our Inauguration Service in the new Church building. There will be food and fun for all as we celebrate following the service. We hope you can join us! On February 11th, Tamarindo Church will be headed up to Cristo Rey in Nicaragua for our annual church mission trip. This year, we will be partnering with the ministry of Fundacristo, a school in the barrio of Cristo Rey. During our time there, we will be providing school supplies for teachers, buying text books for their 8th grade class, helping with a painting project, and distributing food to the poor. Here are some interesting information on education in Nicaragua from Fundacristo’s website. Secondary school figures are unsurprisingly much worse: 46% finished the first tier (9th grade/year 10), and only 19% completed 11th grade (year 12). In the poorest families, only 6% of children finished secondary school. If you would like to be involved in making a difference in the community ofCristo Rey, please consider the following ways of helping. 2. Pray for us & the community- There are always a lot of logistical challenges and surprises on a trip in Central America. Please pray God’s grace, wisdom, and protection on our group. And please pray that our group would represent the love of Christ as we serve. Please pray also for community leaders and pastors… that God would guide them on how best to love and lead their people in community development and spiritual renewal. 3. Give Financially- To accomplish various projects on the trip, we have a goal of raising $9,000. If you would like to contribute toward this trip, please make your donation through the Tamarindo Church Giving page. Just make your donation to Tamarindo Church, and be sure to send a follow up email at tamarindochurch@gmail.com to let us know that you would like your donation to be designated for the Nicaragua trip in January. Join us for Youth Group every Friday, 7 – 8:30 pm at Tamarindo Church! Youth nights at Tamarindo Church create an environment where teenagers feel welcomed and safe to be themselves.Each week, we start with some crazy games… followed by a time of digging into the Bible together to figure out who Jesus is and what He is all about. All 6th – 12th grade students are invited! 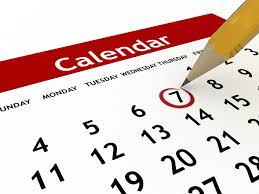 PLEASE NOTE… that Men’s and Women’s groups will be canceled on December 26th and January 2nd. Group meetings will resume on January 9th. That God would create a spiritual hunger in our community, and that we would see many come to a saving faith in Jesus Christ. Please pray that our Christmas Eve Service will draw many of these people to church. Please pray also that our church members would sensitive to the Spirit’s leading in inviting people to come celebrate Christmas at Tamarindo Church. Please pray also for the Spirit’s leading in Pastor Lyle’s preparation for his message on Christmas Eve. Please pray for our leadership and volunteers as we transition into a new season of ministry in our new church building. Change and growth is exciting, but often a bit stressful. Please pray for unity, grace, patience, flexibility among all of us as we adjust to life and ministry in the new church building. 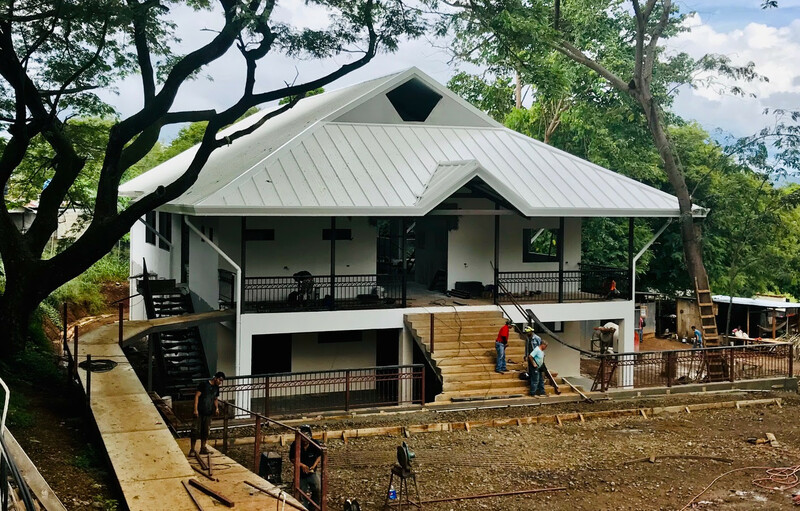 Thanks be to God… the TC church building has been completed and we are now completing all of the “finishings”! If all goes as planned, we will be able to start meeting in the new church beginning the Sunday before Christmas Eve. At this point we are only $19,000 short of meeting our financial goal to complete the finishing costs of the building. Please pray with us for God’s provision of this remaining amount.